Holy crap. 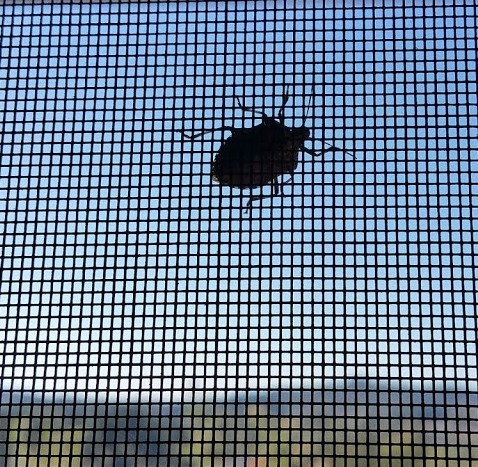 We’re being invaded by stink bugs. They are miserable and invasive, and they’re driving me crazy. Somehow they manage to get into the house through our screen doors. And who knows where else. 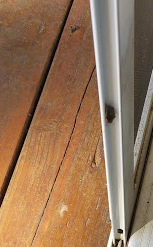 I find them on my doors. I find them near my floors. I find them in my light. I find them on my screens. You can’t squish them. Well, you can. But if you do, ewww da pilau smell! So gross. The other day was kinda cold, so I put on a knitted cowl. And I started smelling stink bug. But I couldn’t see anything. But I could smell it. I walked outside, and OMG, it was on my shirt! I couldn’t help it…I screeched, small kine. It reminded me of the time the B-52 kamikaze kakaroach landed on me back home. (I yelled much louder that time, and did a lot of dancing around.) I brushed it off me, and it went flying away. Probably to land on one of our screens again. Nolemana got the one in the light in my office. And guess what? Its brother came back today and is buzzing around up there. I guess it could be worse. Try look this wahine’s hale in the southwest part of Portland. Yeah, the bug from hell. Foa realz. This entry was posted in 365 Days, Da Kine: Sometimes Full-on Pidgin, Wassap Wit Dat?. Bookmark the permalink. You would not like the smile on my face…. :( sorry!!! I can’t imagine how awful that many of them must be! We only have one or two, and…um, er..well, we NAME them, because we like them. They are all named ‘Harry.’ My son and I started the tradition when we were homeschooling, and they always bring back those sweet memories of my son…..I am sorry you have them though! Wait. Just wait. Harry??? Okay, I give you the sweet memories. And I also give you all the stink bugs around here! Aue! I haven’t seen them up here, and that’s a good thing. I’m sure they’d freak me out too. Hopefully they’ll get killed off by the first frost (or all the rain we’re supposed to be getting in the next couple of days). Your cats don’t hunt them, do they? Your popoki are probably deterred by the smell. I hope we get plenny frost to kill them. I just whacked one tonight trying to get into my kitchen light. Difficult to kill with the flyswatter dese buggahs. Their shells are really hard. Wow I learn so much from your blogs. 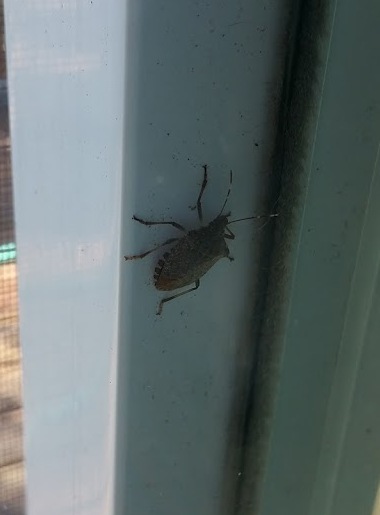 The only stink bugs I know in Hawaii is the bright green ones and I haven’t ever smelled them thankfully. I just grab the odd one that ends up in the house and flush ’em. I don’t think I can flush your that many down! Good luck! Eh, you know what? Iʻm afraid if I flushed them down, theyʻd come back. Like kakaroaches. All I can do now is hope for freezing weather to kill them off.